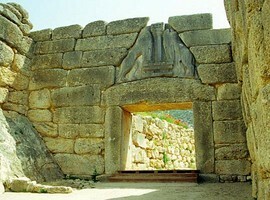 The Mycenae, the palace of the legendary Agamemnon is one of the most important archaeological sites of the Peloponnese. 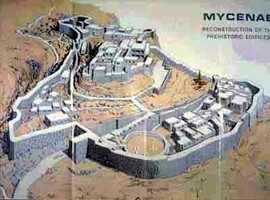 The position of the citadel of Mycenae was privileged and strategic. 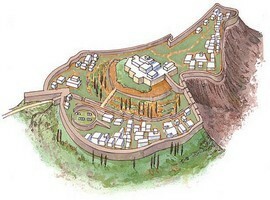 Naturally and artificially fortified, it not only supervises the entire Argolid plain but it also controls all the passages leading out of the Argolid. 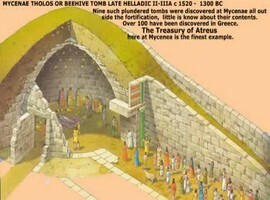 Thanks to this privileged position the Mycenaeans had under their control the trade with the southern Greece, Asia Minor, Cyprus and Egypt. 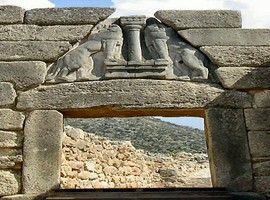 As we are informed by Homer in the Iliad, the ruler of Mycenae dominated the Corinthia, Achaia, and of the many islands of the Aegean. 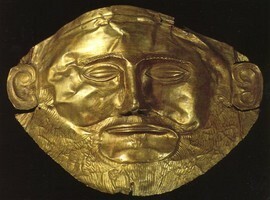 He was commander in the campaign of Troy having 100 ships. 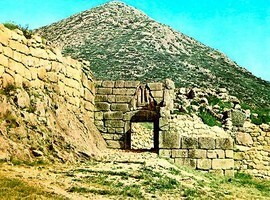 Although small parts of the citadel had been excavated earlier, the fate chose Heinrich Schliemann to have the honor and glory to bring back the Mycenae in the center of global interest (1874-1876). He was followed a number of brilliant scientists. 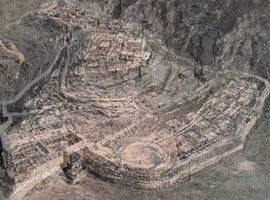 The excavations of the palace and the surrounding region continue until today. 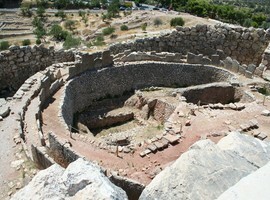 The Mycenaean hill is situated at an altitude of approximately 280 meters above sea level. 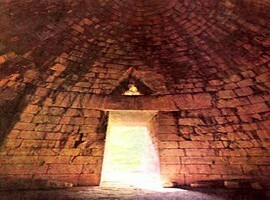 An area of 30 acres is surrounded by cyclopean walls, which are following the natural formation of the hill. The average wall thickness is 5.20 meters, while the original height is estimated at twelve meters. 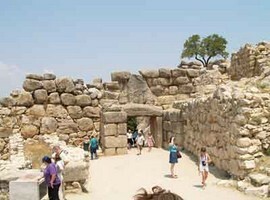 The greatest extension is built with irregular and rough stones placed without any order. The gaps formed between the blocks were filled with smaller stones and clay. South of the barn lies the reputed burial enclosure A, the royal tombs, which were dug by Schliemann in 1876. 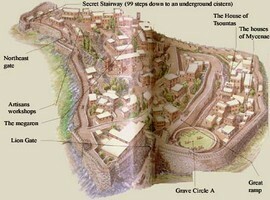 All these tombs covered with earth, which formed a low mound. The dead were dressed in precious gold-trimmed dresses, while some of them bore golden masks. The graves date from the 16th century and belonged to an unknown to date royal family. 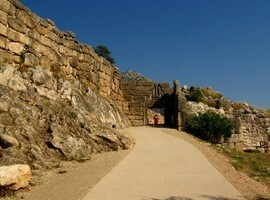 The palace of Mycenae occupies the highest point of the hill and is now accessible from the NW corner. The official entrance to the palace though was the large staircase on the south side. 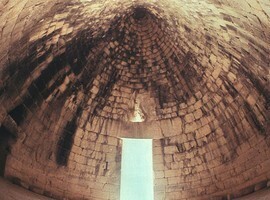 The visit in the space of Mycenae, however, is by no way complete without a closer look the domed tomb of Atreas. It represents the most imposing of the 9 vaulted tombs have been found peripherals citadel and immediately left the road leading to the site.